When planning a trip to Costa Rica, it’s important to take the weather into consideration. It might be a tropical destination, but it doesn’t boast year round sunshine. Costa Rica has two seasons: the rainy season, which runs from May to mid-November, and the dry season, which is from mid-November to April. If you’re traveling to Costa Rica in the rainy summertime, you’ll need to pack accordingly. 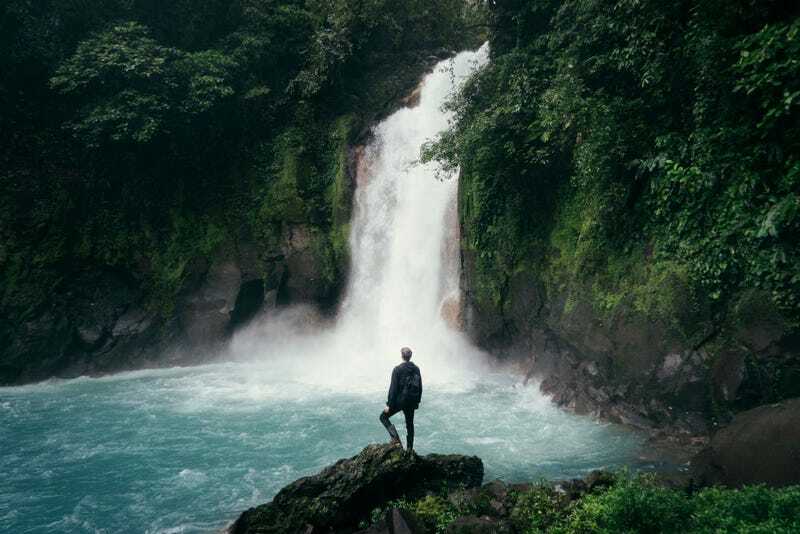 First, though, it’s important to keep in mind that traveling to Costa Rica during the rainy season (also known as the green season, because everything is in bloom thanks to said rain) is really not as unappealing as it sounds. There are less crowds, prices are generally cheaper, and it’s usually not raining 24/7. I went during July and found that it only really rained for an hour or so in the afternoon, if that. Still, you’ll want to make sure you pack the right things. No one wants to be caught in a torrential downpour in the middle of the jungle with nothing to keep dry, and a very long car ride back to the hotel to look forward to. To ensure you’re ready for whatever the weather may decide to do, below are a few helpful tips on what to pack when you’re going to Costa Rica in the summer. If you’re spending the day hiking through the rain forest or going zip lining, you should be prepared for the chance of a little rain and pack a jacket just in case. You’ll want something lightweight and breathable, since you’re in a tropical place, and the temperature is going to be pretty warm. Try a lightweight fancy poncho, so that you feel like you’re still getting some air without getting soaked. Here’s a pretty obvious thing about Costa Rica during the rainy season: there are a lot of bugs. It also appears the Zika virus is alive and well there, which is just one more reason to pack bug spray that’s going to work. Sure, it’s nice to use all-natural sprays that don’t include deet, but if you don’t want to get questionable bug bites in the jungle, you might want to choose something that works. Deet is ranked as a top performer when it comes to repelling bugs, and is much safer than you’ve probably once thought. All I’m saying is that I used it every day while I was there and did not get a single bug bite. There are a lot of hot springs in Costa Rica, and you’ll often find yourself hiking, then changing into a bathing suit to take a dip. Once you’re done, though, you need somewhere to put your soaking wet bathing suit for the ride home. Enter the dry bag. Use it to hold your wet clothes so they don’t drip all over the place, or opt for using to to keep valuables out of the rain, just in case you get caught in a storm. There are lots of size options for dry bags, so make sure you know what you’re getting into. Whether you’re taking a dip in the ocean during a tour or you get caught in the rain, you’re going to want to have a quick dry towel along for an excursion you go on. 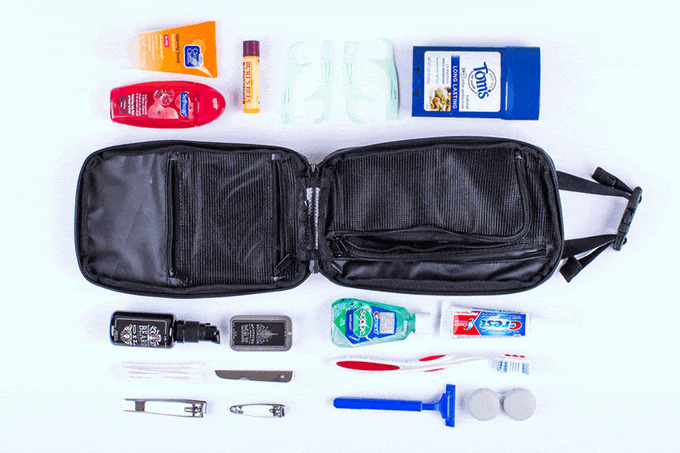 I love this microfiber option because it comes with a mesh travel bag to keep it compact in your luggage. The first time I went into an actual hot springs bath in a rainforest (not one that was man made or assisted), I was surprised to find the bottom to be unpleasantly slimy and very slippery. If you plan on doing this, I would advise to pick up some water shoes that will prevent you from entering into a potentially dangerous situation. Yes, it’s the rainy season, but no, that doesn’t mean there’s no sunshine. In fact, there’s a good chance that the days will mostly consist of sunshine. Though you may think you’re protected by the leaves in a jungle, you aren’t, so make sure you’re putting sunscreen on every day, and continuing to reapply. Drunk Elephant makes a really great facial sunscreen that feels very lightweight, so you won’t feel bad slathering it on. When I went to Costa Rica, I brought a pair of old running shoes to go on excursions with. Not only did I ruin them, but they just weren’t equipped for the hiking we were doing, which was admittedly pretty basic. Don’t make the same mistake I did. Waterproof hiking shoes are a must if you plan on trekking through the jungle, and these are comfortable and breathable. Aside from the comfort factor, many tours and excursions require shoes that fully cover your feet. It’s hard to hike to a waterfall, relax in a natural hot spring bath, or hang out in the beautiful Pacific ocean without feeling the urge to snap a photo of the moment to keep it forever (or just post it on Instagram). That’s fine, it’s just that you should protect your phone so that you don’t completely destroy it. This waterproof case is great because it works for all sizes and can also hold small essentials like money or a credit card. Plus, you can take pictures with the case on, which is really ideal. You don’t want to go hiking without a backpack full of essentials (like everything on this list), but they can be bulky to pack when traveling. A foldable backpack, like this one, is your best bet because it can be so compact. This one is light, not too big, and will be a lifesaver whether you’re hiking or spending the day at the beach.